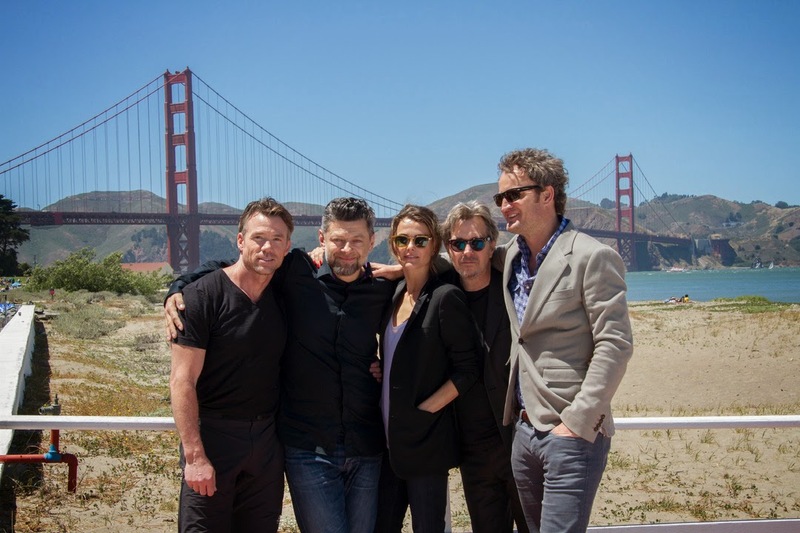 20th Century Fox has just released the latest photos of actors posing at the iconic Golden Gate Bridge at San Francisco – in attendance at the photocall are Dan Lemmon, Terry Notary, Andy Serkis, Matt Reeves, Keri Russell, Gary Oldman, Joe Letteri and Jason Clarke. In “Dawn of the Planet of the Apes,” a growing nation of genetically evolved apes, led by Caesar, are threatened by a band of human survivors of the devastating virus unleashed a decade earlier. They reach a fragile peace, but it proves short-lived, as both sides are brought to the brink of a war that will determine who will emerge as Earth’s dominant species. Available in 2D, 3D and 4Dx format, “Dawn of the Planet of the Apes” will open in cinemas on July 9 nationwide in more than 200 screens in the Philippines from 20th Century Fox to be distributed by Warner Bros.